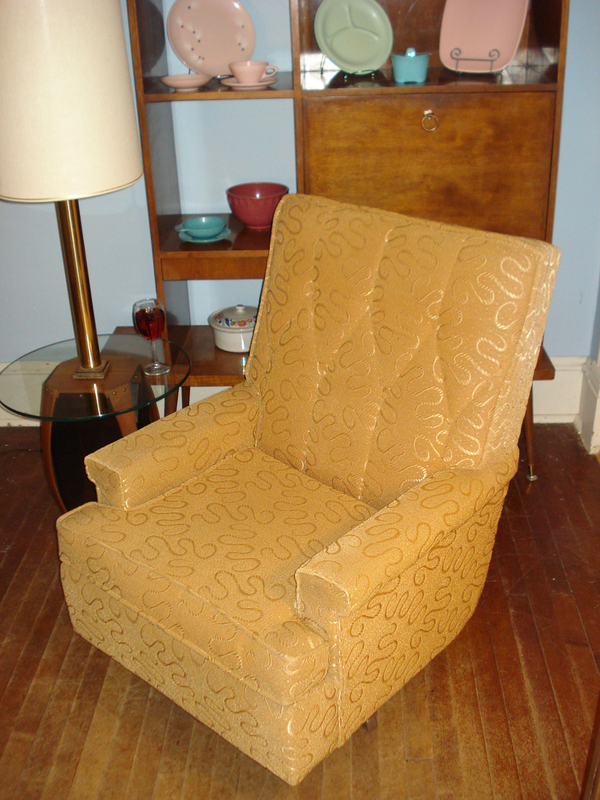 This mid-century lounge chair was made by Mill City Manufacturing Company of Minneapolis, Minnesota. 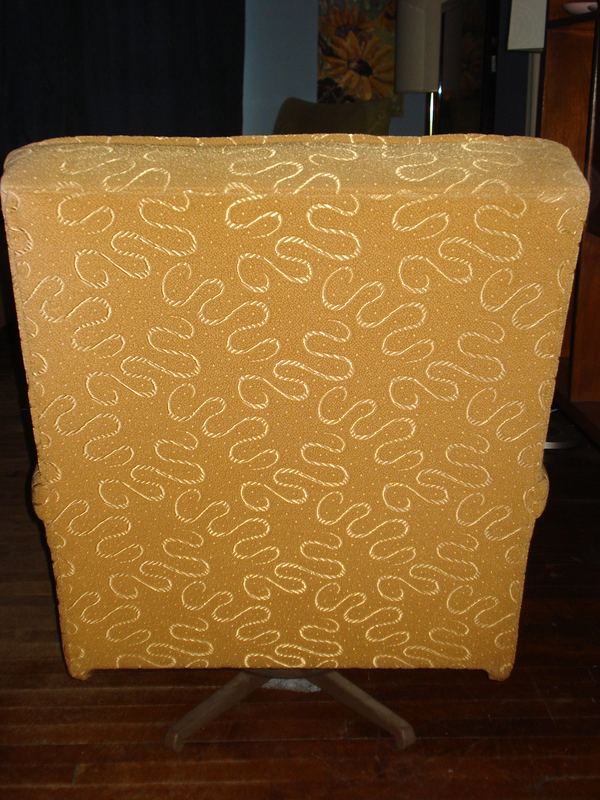 It has the kind of fabric that’s tough as nails, so the upholstery is in excellent shape for it’s age. There is a rocker base on the chair. Love, love, love… Did I mention I love this! Thanks, thatmidcenturyfella. We think it’s pretty sweet, too. 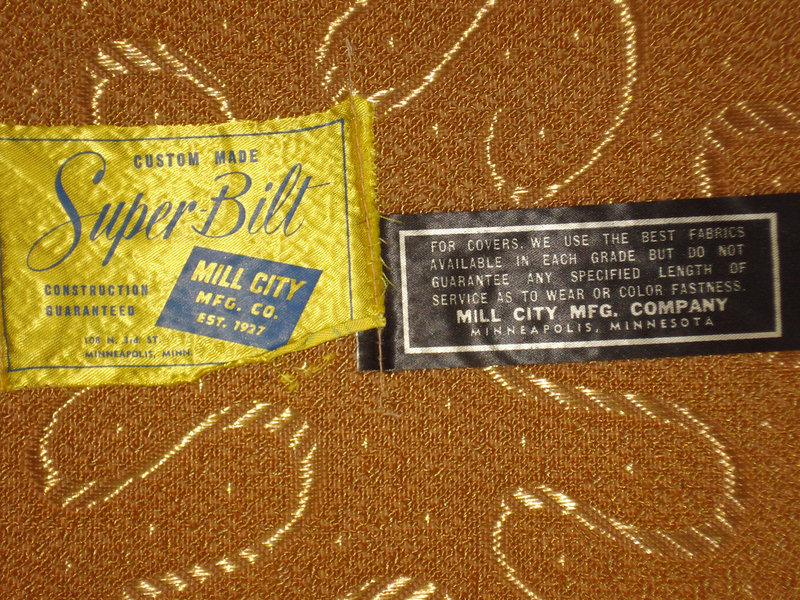 The added bonus for us is that it is a “local” bit of mid-century awesomeness, as we are Minnesotans ourselves.